Breakfast/Lunch/Dinner Buffet, full menu w/ waitress service. 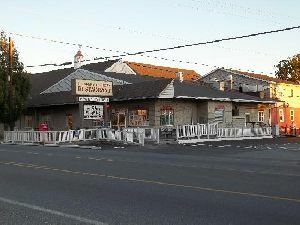 Owned and operated by Mennonites, great home cooking, homemade desserts. THIS IS WERE THE LOCALS EAT!!!!!!!!!!!!!!!!!!!! We have been there 3 times, 1 lunch & 2 dinner meals, great service. Made another trip in Oct 2014, still going strong! Price a very reasonable, average diner prices. This is were the locals eat. When we were there for dinner, they were full and gave us a beeper, and said we could go walk the local shops around the restaurant and a table would be ready 20 minutes. We got beeped in about 20 minutes. This is a must stop for my wife and I when we go to Amish Country This is not one of those $30.00 plus mega buffets or mega family style restaurant. *** I WAS BACK *** Debbie and I stopped back in late June 2015 for breakfast. Great job, food and service was great as usual. *** I WAS BACK AGAIN*** Debbie and I stopped back in June 2016 for supper, had the family with us that time, great job, great service, whole family loved it!